The worst Speaker in US history is feeling pretty good about her party’s chances on retaking the House… At least that’s her bluff this week. 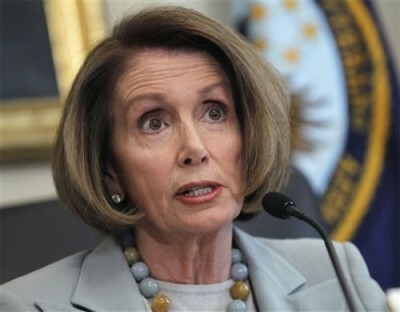 Pelosi says, thanks to Mitt Romney, she’s feeling more confident about taking back the gavel and giving America another clubbing. No need to worry, though. She’s been wrong about everything from the Stimulus to Obamacare in the past three years. She doesn’t exactly have much of a track record of success. The war between President Obama and Mitt Romney over female voters intensified this week, with Romney asserting that 92 percent of the jobs lost under Obama were women’s jobs, and Obama and the Democratic National Committee firing back that Romney’s campaign couldn’t even answer whether he supported a major piece of equal-pay legislation. “I would have said, two months ago, we had a 50-50 chance of winning the House,” Pelosi said. “If this is an example of how Mitt Romney is going to run for president, I feel sad for the process and country, because either he doesn’t know what the facts are or he doesn’t care,” she said.